Installing or upgrading a business network server can be advantageous for offices with multiple workstations. Installing a network server gives the network administrator the ability to quickly repair issues with the network and individual workstations by sending commands to workstations from one central point over a local network or the Internet. This allows workstation to be maintained without having to touch each individual workstation. Security policies, settings, and software updates and patches can be applied to all workstations at once greatly reducing the cost associated with maintaining your business computers. Allstate IT Solutions only offers true servers that are specifically designed for the demands of continuous business use. All of the server systems that we offer come with a minimum of 3 year manufacturer warranty because they are made from commercial-grade, highly reliable components. Looking for an alternate solution? 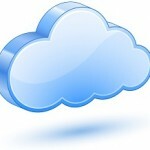 Check out our Business Cloud Solutions.